In 1912, an all-India cricket team visited England for the first time, sponsored and captained by the Maharaja of Patiala. In 1926, two representatives of the Calcutta Cricket Club travelled to London to attend meetings of the Imperial Cricket Conference, the predecessor to the current International Cricket Council. Although technically not an official representative of Indian cricket, they were allowed to attend by Lord Harris, chairman of the conference. 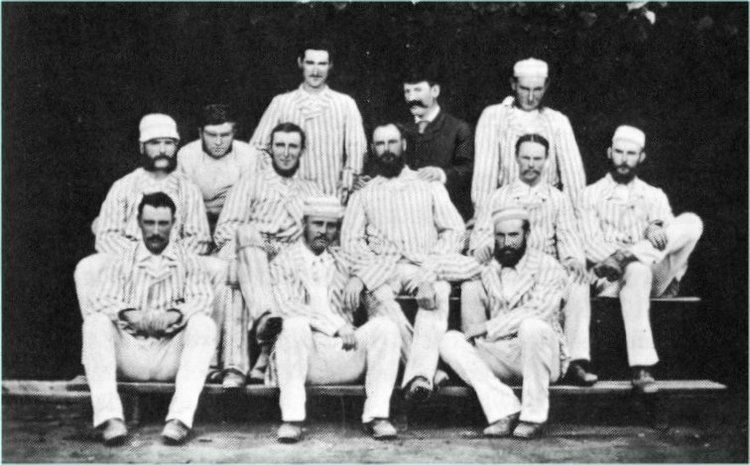 The outcome of the meeting was the MCC's decision to send a team to India, led by Arthur Gilligan, who had captained England in The Ashes. In a meeting with the Maharaja of Patiala and others, Gilligan promised to press for its inclusion in the ICC if all the promoters of the game in the land came together to establish a single controlling body. An assurance was given and a meeting held in Delhi on 21 November 1927 and was attended by delegates from Patiala, Delhi, United Provinces, Rajputana, Alwar, Bhopal, Gwalior, Baroda, Kathiawar, Central India, Sindh and Punjab. 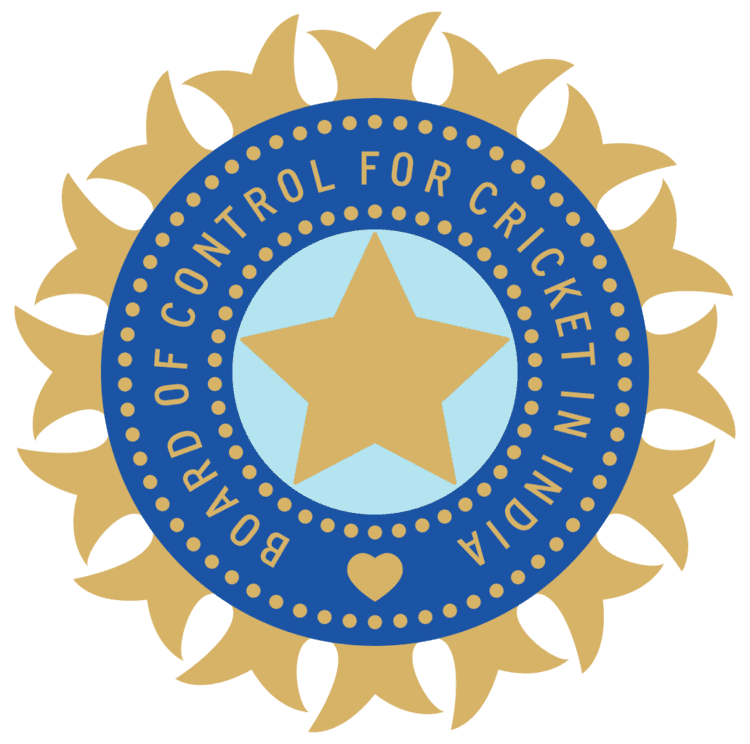 A consensus was reached to create a board for control of cricket in India and on 10 December 1927, a unanimous decision to form a provisional board of control was taken. In December 1928, the BCCI was registered under the Tamil Nadu Societies Registration Act with six associations affiliated to it. R E Grant Govan was elected as its first president and Anthony de Mello as secretary. The BCCI is India's richest sporting body and the richest cricket board in the world. The BCCI's constitution provides for annual elections at its Annual General Meeting (AGM) for all posts, with a bar on re-election of an incumbent president beyond two consecutive years, "provided that the General Body may in its discretion re-elect the same person as president for the third consecutive year". In 2009, the ICC and BCCI were in disagreement over the WADA, "Whereabouts clause". BCCI was also against the Umpire Decision Review System (UDRS) proposed by the ICC. The ECB, Cricket Australia and the BCCI are regarded as cricket's "Big Three" economic players. BCCI does not depend on the Government of India for its finances. The global media rights for international cricket to be held in India were awarded to Rupert Murdoch-led production house Star India for ₹ 3,851 crore for six years. Official kit sponsorship rights for 5 years from 2010 to 2013 inclusive were awarded to Nike for US$43 Million. While Air Sahara became the official Indian cricket team sponsor for a period of four years at a cost of US$70 Million. The media rights for 25 neutral venue one-day matches to be played over the next 5 years were awarded to Zee Telefilms for US$219.16 million. BCCI had avoided taxes on its income, claiming exemption as a charitable organisation. Although the Income Tax Department withdrew this exemption in 2007-08, BCCI only paid tax amounting to ₹41.9 crore (US$6.5 million) against its tax liability of ₹413 crore (US$64 million) in the 2009-10 financial year On 12 September 2006 BCCI, announced that it will spend ₹ 1,600 crore over the subsequent one year to upgrade the cricket stadiums around the country.